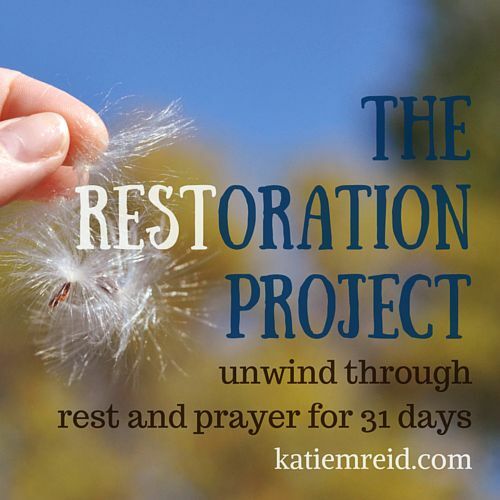 Welcome to Day #29 of the Restoration Project. She hopped into the minivan at the airport and plopped down next to me. She made me feel right at home within minutes with her big smile, hospitable heart and her down-to-earth conversation. I had been feeling quite small and far from home. Sometimes you meet someone and feel like, “Hey, I know you—even though you don’t—I recognize your heart and I think we’re already friends even though I don’t know anything about you.” Yup, that’s how it went down with Christie and me. The funny thing is, a week before, we had attended the same conference in my home state, but God brought us to Texas to meet each other. He’s funny like that. Christie Hughes holds degrees in communications and law, but spends most of her time holding her two little girls while working on a Master’s in grace. She’s a Women’s Ministry leader and an all out fear-fighting, mess-making, Jesus-loving, coffee-slurping mama. Always in need of a refill. 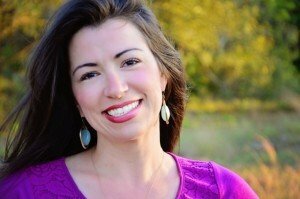 Come chat and slurp along with her at her blog, Christie Hughes at the Well. You can also find her on Facebook, Twitter and Pinterest. I was a Louisiana mama on a mission last week—to leave the mosquito-swatting flatlands for a view of fall in the mountains. Away from all the mess, the mounds of chaos, unfinished to-do lists, and my own Mount Everest of laundry. And yes, to get some of that elusive, sacred word—REST. Ahhh, I could almost not hear the peace and quiet as I envisioned my neck sinking down into Calgon and warmth, before watching my toes pop all the dancing bubbles. “Again? !” Oh, no she didn’t. Oh, yes she did. We must’ve over-packed and under planned because all week our postcard view was dotted with bumps and bruises and a bag full of commotion. And let me tell you, we never littered, but all of my lofty Calgon plans sure got thrown out the window. And this frazzled and frenzied and rest-wanting mama was ready to trash my vow to scribble out and churn out words for 31 days. For six days He switched on the lights by the glow of the Son, charcoaled the night, filled up the tub of the world, imagined every creature into reality, painted the leaves that I drove to see, and then He breathed into motion you and me. Then finally, He punctuated that six day sentence with a silent period. I saw it, but I just couldn’t get it. All of creation still moved, but He still rested. And then I flashed back to my morning chairlift ride up the mountain with my 4-year-old mini-me. My sweet scaredy cat wanted off, but it was too late because we were in motion. I held her close, my arms squeezing hers and my hands firmly gripping her chunky little thighs. She leaned into me, 1,800 feet in the air, released all her fears, and settled in like she was eighteen inches off the ground. She rested on me, knowing I’d never take my hands off of her. She rested in motion like her world stood still when it still whirled around us. 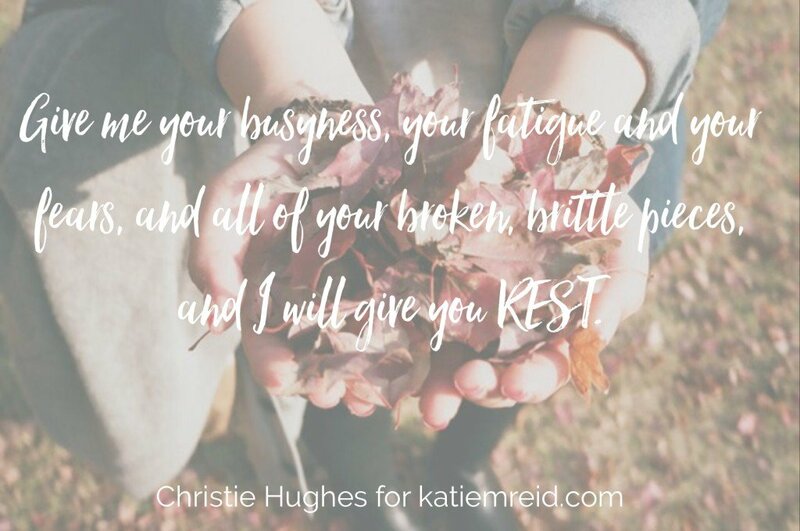 And I listened to the Father for both of us daughters as He softly shared, “Give me your busyness, your fatigue and your fears, and all of your broken, brittle pieces—and I will give you rest—in motion. P.S. Get caught up on the Restoration Series here. I love it–“He’s funny like that.” Yes, He is girlfriend! And He answered a prayer when He plopped me next to you. Had chills just reading your intro.! Gr8 job Mamma!!!! U r almost done! I <3 u 2 the Moon and Back!!!!!!!!!!!!!!!!!!!!!!!!!!! Always love reading what God puts on your heart!